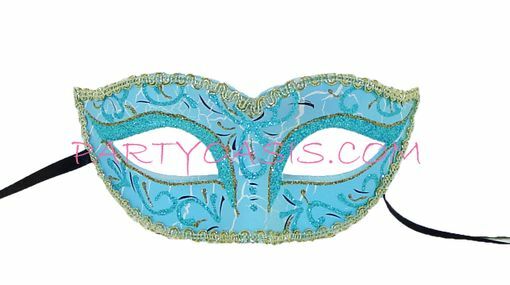 Venetian style party mask, hand-painted with a crackle detail with trimmed edges. Easy fit and made out of a hard durable, yet lightweight plastic core. Comes with black ribbon ties. Perfect for any masquerade party event.